The necessary accessory for any camping, hiking, or fishing trip. Provides a clean and safe way to cook hot dogs, marshmallows, sausage links, and anything else your heart desires over campfires without burning your hands or clothes. 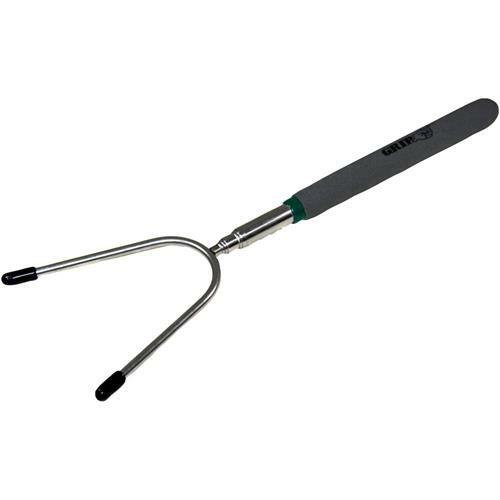 The stainless steel fork resists rust and corrosion. A double dipped rubber gripped handle extends from 11" to 34".